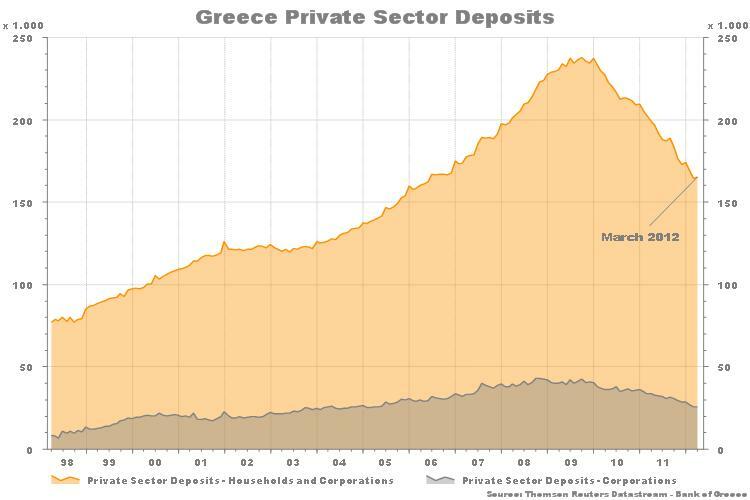 This graph from Thompson Datastream shows the Greek private sector deposits over the last 20 years. Light brown shows the household + business deposits and the dark brown shows only the business deposits. 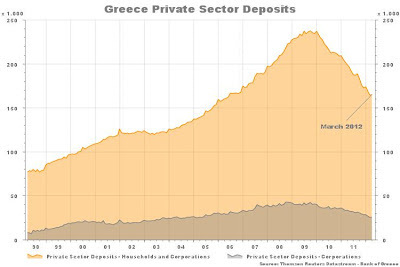 Clearly the households have been the main driver in bringing down the deposits by huge amounts in the last few years.